The New York City Writing Project is thrilled to announce that one of its partner schools, the International Community High School (ICHS) in the Bronx, has been awarded a competitive LRNG Grant from Educator Innovator, NWP, the MacArthur Foundation and John Legend’s Show Me Campaign. This was one of fourteen proposals from around the country accepted in the LRNG Grant’s inaugural year. 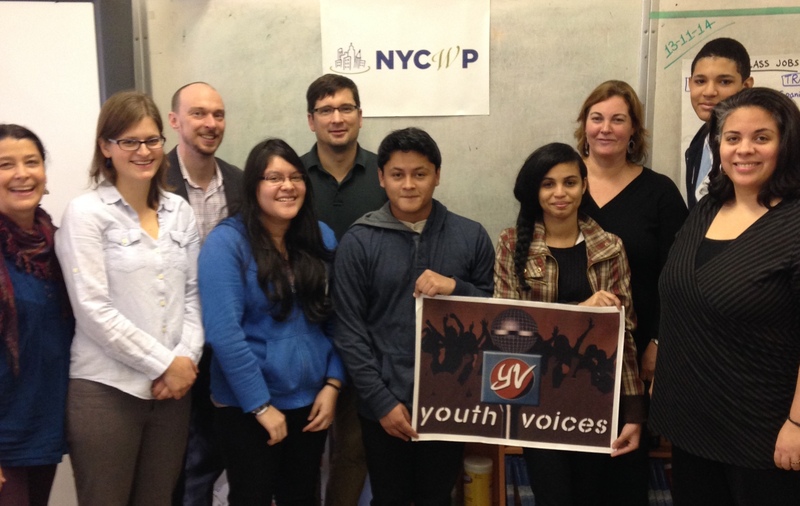 This project will bring a group of fifteen immigrant teens together with teachers and New York City Writing Project teacher consultants to create an online community called International Community Voices. The online space will be housed on YouthVoices.net and will be used to share students’ interest-driven projects aimed at building their English Language capacity and academic skills. In the two phases of the project, educators will develop tasks for students to complete that combine academic and interest-driven learning, and host an after-school program for 15 students of varying ages and levels of literacy to create multimedia projects, share them, and earn badges. Students will interact collaboratively with leaders and each other as peers and mentors while having the time to strengthen language development and academic learning while engaging in meaningful play. The grant proposal was co-authored by Jane Higgins, Nick Deming, JoAnn DiLauro, James Nine, Glencora Roberts, Paul Allison, and Renee Ehle and the funding totals $20,000. Real World Histories: Center for Inspired Teaching, Washington, DC. Congratulations to the team at ICHS and to the other grant recipients around the country. More information about LRNG and NWP can be found at educatorinnovator.org.